Booking a holiday this year? Then do your homework to avoid nasty surprises when you arrive. Bypassing the travel agent could save you hundreds of pounds– but only if you know what problems to look out for. 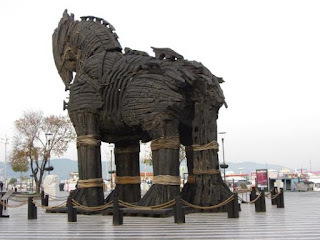 06:30 Pick up from your hotel in Istanbul and head for Troy 12:30 Arrive at lunch stop in Eceabat & we take a ferry across the Dardanelles and drive to Troy which is famous with the legendary Trojan Horse from the times of Beautiful Helen, the Queen of Sparta, and Paris, the Trojan Prince. 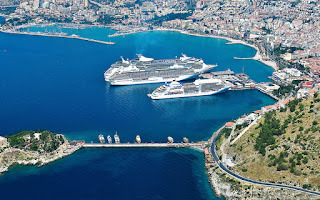 After the tour, we return back to ferry port to take a ferry across the Dardanelles17:00 We return to Istanbul in the evening arriving back at approximately 23:00 hours. 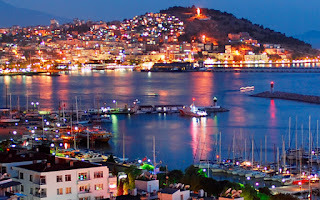 Meet with our professional tour guide at the Istanbul Airport and then transfer to your hotel. Hippodrome - The center of sport activites in Constantinople, capital of the Byzantine empire, today named Sultanahmet Meydani with its four monuments; The German Fountain of Wilhelm II, Egyptian Obelisk,Serpentine Column (Spiral column), Column of Constantine. Blue Mosque- Unique with its 6 minarets built in the name of Sultan Ahmet which was until 19th century traditional point for the pilgrimage to Mecca (closed on Friday). Hagia Sophia- The most famous Christian church in Turkey,one of the greatest marvels of architecture, which was constructed as a basilica inthe 6th century by Emperor Justinian(closed on Monday). FIRST DAY When you arrive to Istanbul Airport, pick you up and private transfer to your hotel (in the center) and stay overnight. SECOND DAY After breakfast, 08:30 We will pick you up from the hotel (city center hotels). Then you will meet with your group andguide at the meeting point. We will visit Hippodrome, Hagia Sophia, BlueMosque, Grand Bazaar, Topkapi Palace, Sultan Tombs. End of the tour we will drop you off to your hotel. Hippodrome - The center of sport activites in Constantinople,capital of the Byzantine empire, today named Sultanahmet Meydani with its four monuments; The German Fountain of Wilhelm II, Egyptian Obelisk, Serpentine Column (Spiral column), Column of Constantine. Blue Mosque - Unique with its 6 minarets built in the name ofSultan Ahmet which was until 19th century traditional point for the pilgrimageto Mecca (closed on Friday).